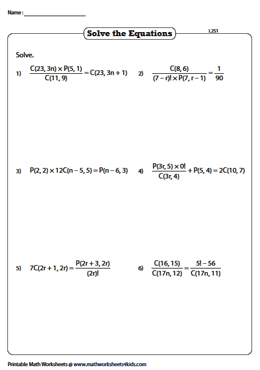 Implement this permutations and combinations worksheets proposed for high-school students to elevate your understanding on the topic factorials. 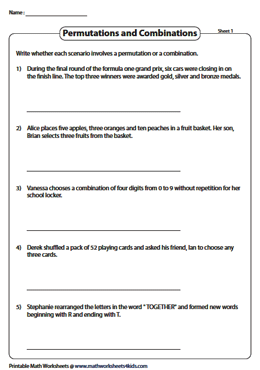 An assortment of exercises on identifying permutations or combinations, two-level of solving and evaluating permutations and combinations involving word problems are enclosed. Employ this ideal set of permutation worksheets that consist of an array of exercises on listing possible permutations, finding the number of unique permutations and so on. 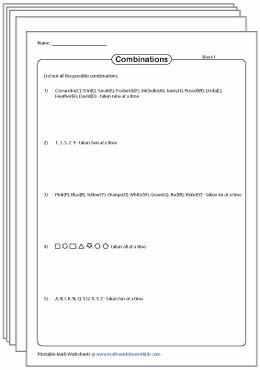 This exclusive set of worksheets centralizes the concepts like finding the number of combinations, two-tier of evaluating and solving combinations and more! Keenly observe the word problems provided and ascertain whether the scenario involves permutations or combinations. 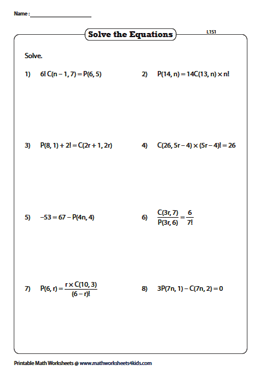 This set of worksheets contains a blend of problems on permutations and combinations. Use the appropriate formula and evaluate each expression to obtain the answer. 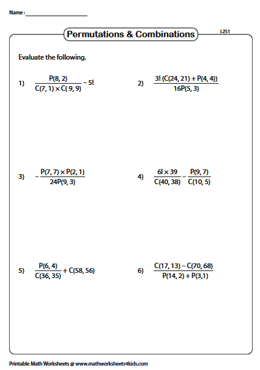 Level 2 worksheets are more integrative when compared to level 1 problems. Calculate and evaluate each problem using the formula for permutations and combinations. Solve each equation involving permutation / combination to find the unknown value of 'n' or 'r' with the relevant formula. 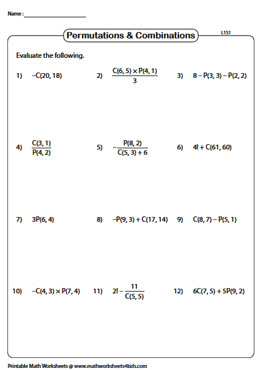 Explore the level 2 worksheets with challenging problems, compared to level 1 worksheets. Simplify the equations to determine the missing value.